For fun I wrote a simple program that computes the SHA1 checksum for leap-seconds.list. The output looks like this. "New" is the checksum computed by the program, "Old" is the checksum contained in the published file. There's also another simple script for authoring a leap-seconds.list file. It might be used for adding an artificial leap-second, generating a leap-seocnds.list file, and testing how different devices react to a leap-second - without having to wait for a real leap-second event. In other news IERS recently announced there will be no leap-second in the summer of 2018. See also time-stamp for leap-seconds.list. 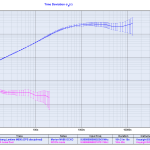 Insertion of the 37th leap second on 2016-12-31. Note how 23:59:59 is held for 2 seconds on the displays. The beeps come from our modified-DCF77 AM-coded 25 MHz radio transmitter. 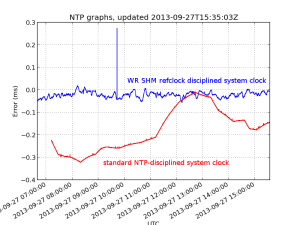 More analysis to come later based on NTP logs. 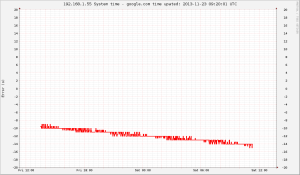 Some stratum-2 NTP servers seemed to take up to 10 minutes to apply the leap second. # test that this generates OK values. Here's a peek inside a Meinberg Lantime M600 PTP/NTP server. It follows the same modular design as the Lantime M300 with the GPS receiver on the right and the computer-board to the left. The new thing is a Time Stamping Unit (TSU) in the middle. 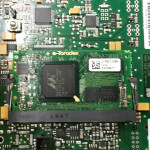 The TSU (by Toradex) seems to be built in a memory-stick form factor (SODIMM?) around a Marvell 88ap270m chip (PXA270 processor?). Maybe it's a Toradex Colibri PXZ270? 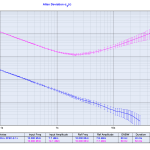 ADEV of GPS-disciplined MV85 OCXO. Shown with 53230A RCON-mode noise floor. TDEV of GPS-disciplined MV85 OCXO suggesting a phase measurement resolution of a few nanoseconds. 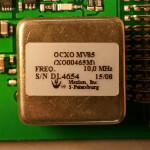 Morion MV85 OCXO on the GPS receiver board. Modular design from left to right: Computer, Time Stamping Unit, GPS-reicever and OCXO, Power Supply. Following Dave's advice here: "Don't turn it on - take it apart!" 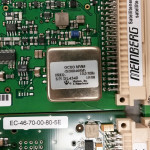 Meinberg Lantime M300 - Multi Reference NTP server. This server works as stratum-1 using a number of different input signals such as GPS, 1PPS, 10MHz, and IRIG/Timecode. 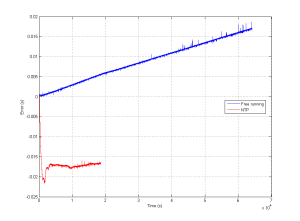 The loop time-constants seem to be very long, since the ADEV plot does not change much (at least not immediately) when connecting or disconnecting e.g. the 1PPS or 10MHz inputs. If I would be more patient I would measure it free-running and with all the different stratum-1 input signals for a few days each - that would maybe show some interesting things about how the internal OCXO is locked to the reference inputs. My assumption would be that IRIG would produce the worst ADEV, GPS second worst, 1PPS quite good, and the 10MHz input should produce an excellent ADEV with the shortest lock time-constant. Lantime M300 10MHz output, free running ADEV. 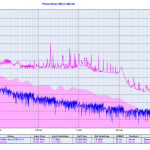 Lantime M300 10MHz output, phase noise. when the ntp service starts it is useful to look at /var/log/syslog where ntp will complain if it doesn't have permission to read the leapfile or if it is badly formatted. (the time1 adjustment number needs to be calibrated somehow..). Finally we let ntp distribute time to the outside world by adding this line to /etc/ntp.conf (this is usually at the end of the file). You can verify that gpsd is working with cgps, xgps, or gpsmon. A computer that doesn't receive NTP traffic for a while will have its system time drift quite a lot. This outputs a string such as "Sat, 23 Nov 2013 09:14:45 GMT"
Now we can put together a python script that calls this shell script, converts the text-format time-stamp into UTC seconds, and compares against the system time. For plotting we then store the time-error in an RRDTool database. This script is called once per minute using cron. 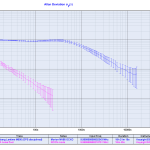 There is about -4 seconds of drift during 24 hours, or 46 us/s (46 ppm). If the drift is steady we can guess that the computer was on time 14/4 = ~4 days ago. And the graph is created by this script. I am using the simple python-rrdtool python bindings - the object-oriented python-pyrrd may have neater syntax and be more pythonic. 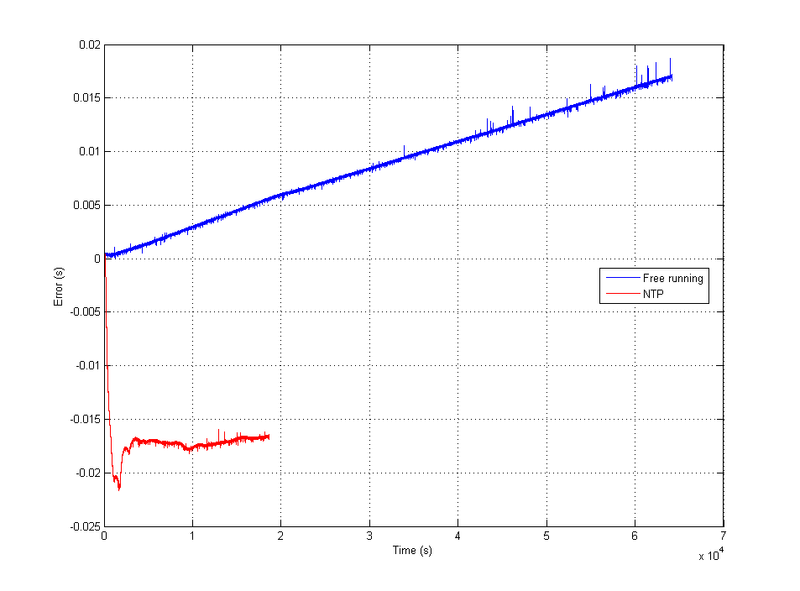 Here's a plot of the time error between the standard unix system-time, kept on time using NTP, and a much more accurate PTP-server based on White Rabbit that runs on a fancy FPGA-based network-card. Note that without NTP a typical computer clock will be off by 10 ppm (parts-per-million) or more. 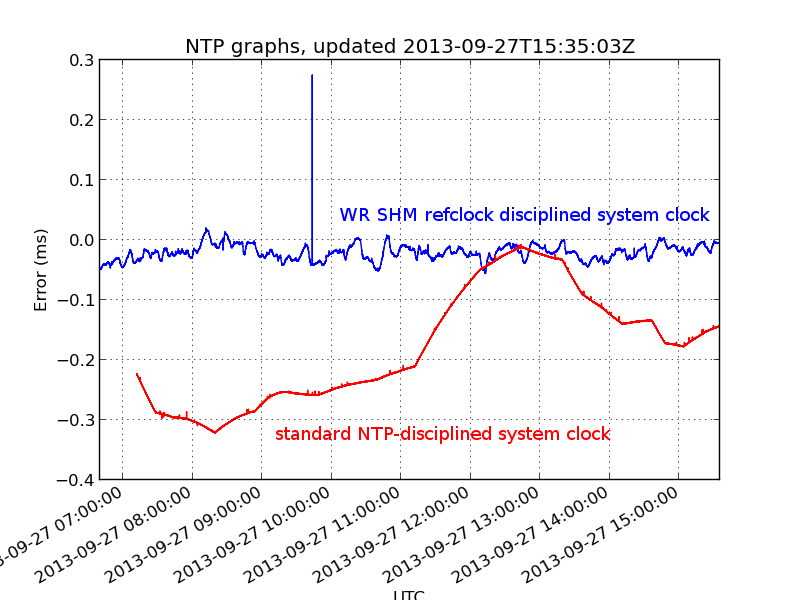 This particular one measured about 40 ppm error in free-running mode (no NTP). That means during the duration of this 16e4 s measurement we'd be off by about 640 milliseconds (way off the chart) without NTP. 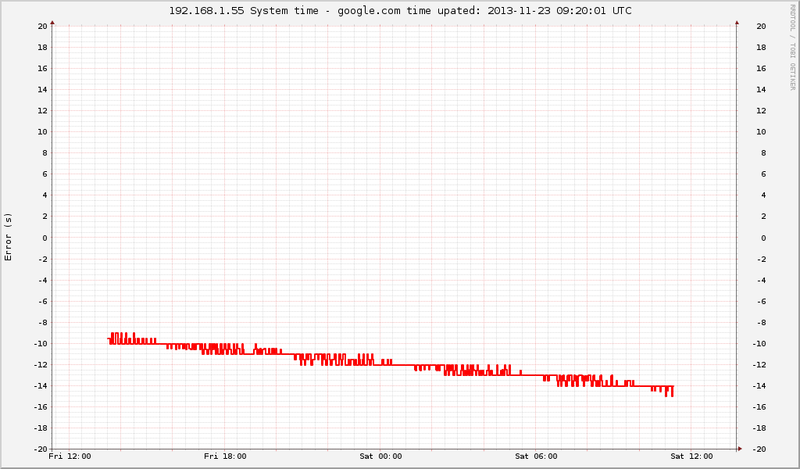 With NTP the error seems to stay within 3 milliseconds or so. The offset of -16 milliseconds is not that accurately measured and could be caused by a number of things.